For more than 30 years, ServiceMaster NCR has been the main provider of disaster restoration and cleaning services for homes and businesses in Rosslyn, VA and nearby communities in the Alexandria, VA area. 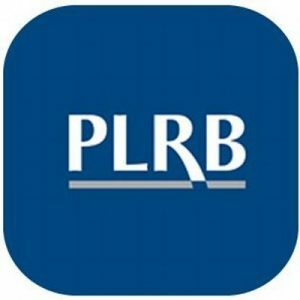 We are a family owned and operated business that has built ourselves into one of the largest ServiceMaster franchises in the country, and we have even developed our own innovative mold testing and removal techniques. You can expect quality results from our IICRC certified technicians who use the most advanced cleaning products, equipment, and techniques of the industry to fully restore your home or business. ServiceMaster NCR is also a ServiceMaster Recovery Management (SRM) center that helps with large losses across the U.S., and we were one of the first to arrive on scene at the Pentagon on 9/11. 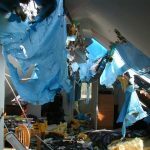 The disaster restoration services that we provide in Rosslyn, VA include but are not limited to fire and smoke damage restoration, mold remediation, water damage restoration, and hoarding cleaning. We are available to provide emergency response 24 hours a day to help limit the spread of the damage and save you money on the restoration. We guarantee quality results with our advanced restoration methods and equipment, and we help keep your costs down with our innovative techniques, including our InstaScope mold testing system and Trifect mold removal method. No matter what type of disaster your property faces, you must call for restoration as soon as possible to stop the spread of the damage and get the restoration process started. ServiceMaster NCR is ready to respond to disasters in the Rosslyn, VA area, 24 hours a day. Give us a call at (703) 212-7000 any time for emergency assistance. Water damage is such a common occurrence in homes and buildings and if action is not taken immediately, the damage could result in serious structural issues or mold growth. Preventing water damage is difficult because it can come from rain, flooding, humidity, leaking fixtures or appliances, overflows, or burst pipes. Once water gets into your home or building, porous building materials such as wood, flooring, and drywall soak it in which allows it to spread and cause damage to these affected materials. Too much water can threaten the structural integrity of these building materials and make them vulnerable to mold growth. ServiceMaster NCR provides water damage restoration services to help homes and business in Rosslyn, VA that have been affected by excess water or flooding. 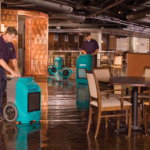 We use state-of-the-art water extraction equipment to remove standing water and excess moisture, and we will also repair and restore the affected areas. Fires have the potential to cause very serious and extensive damage to a home or building in a matter of minutes which is why they are so dangerous. Once a fire breaks out, your priority is to evacuate the building and make sure the fire department comes immediately to put it out. It may be relieving to see the fire get extinguished, but this does not put an end to the damage. Corrosive byproducts like soot and smoke can cause extensive secondary damage in the aftermath of a fire and leave objects and materials on your property permanently damaged. As soon as the fire department gives their approval, contact a restoration specialist to prevent further damage and restore your home. ServiceMaster NCR provides fire and smoke damage restoration services in Rosslyn, VA to restore and repair homes and businesses that have been damaged. 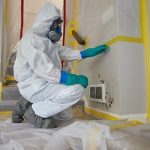 We use advanced equipment and techniques to reverse the effects of soot damage, remove smoke odors, and repair damage to the structural elements of your home or building. 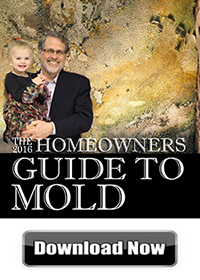 Mold is a major nuisance in homes and buildings because it not only has the potential to cause major property damage, but it can also have detrimental effects on your health. There is always a natural presence of mold spores in the air and they will cause mold colonies to form in areas that have a source of moisture and an organic food source such as cellulose which is found in most common building materials. Mold growth will gradually cause damage to the affected surfaces from discoloration to structural damage, and it can spread easily to new areas by dispersing its spores. It is very important to address mold issues immediately to stop the damage and prevent health issues that may include a range of allergies and even major infections. ServiceMaster NCR provides complete mold remediation services in Rosslyn, VA with our cost-effective and innovative testing and removal methods. We can test for and locate all hidden mold with our InstaScope testing system, and our Trifect mold removal method allows us to complete the job effectively without tearing apart your drywall. There are millions of Americans that deal with the effects of hoarding each day either as a sufferer, or a family member of an affected individual. It is important to remember that hoarding is a mental disorder and those affected allow clutter to build up in their homes because underlying anxiety or depression makes it very difficult to throw anything away. 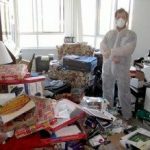 The clutter that results can be very dangerous for those living within the home which is why a trusted friend or family member must reach out to the hoarder and help them realize this danger. Once the individual decides to move ahead with the cleaning, you should contact a professional that can help restore the home. ServiceMaster NCR provides hoarding cleaning services in Rosslyn, VA to help hoarders and their families clean out and restore their homes to safe living conditions. Our technicians take a respectful approach to hoarding cleaning projects and always include the affected individual in the process.